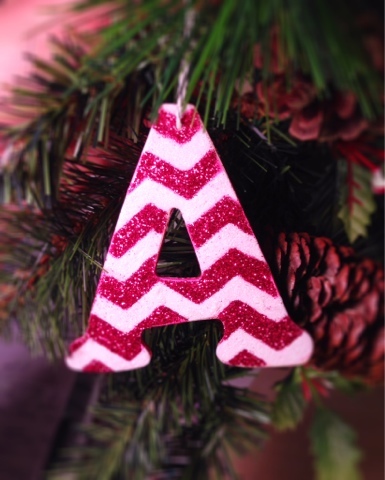 The holiday season is upon us and there is no better time to dive head first into crafts. There are few things more rewarding than creating something beautiful from simple raw materials. During the holidays there are so many opportunities to make a wide variety of crafts. Making your own Christmas tree ornaments is so much fun. One of the great things about making an ornament yourself is the ability to personalize it. While in my local craft store I found something perfect for not only creating but customizing your own ornament. 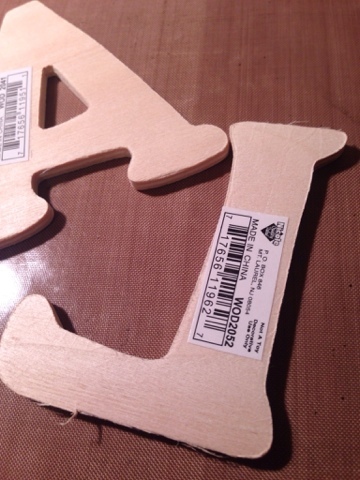 They sell these great little Balsam wood letters at most craft stores. They're a great choice because they are lightweight and durable. 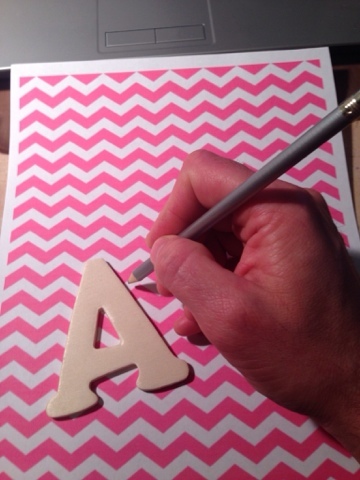 For this project I decided to incorporate one of the hottest patterns around, chevron, with bright and shiny glitter. 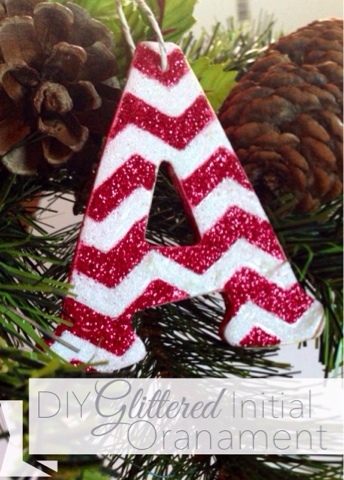 A lot of people in the crafting world stay clear from glitter but I love it, especially around the holidays. 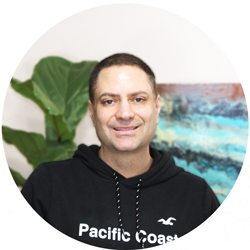 It adds that extra element to your project that is can really make it stand out. 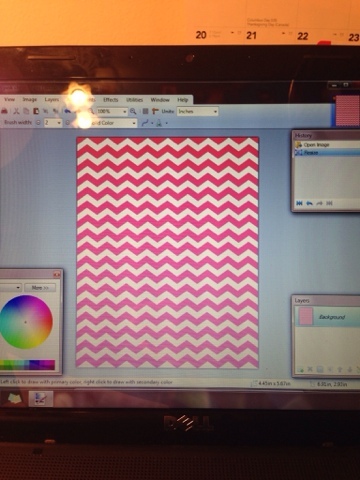 If you don't have chevron paper you can do a quick search online for free printable patterns. Trace your letter on the paper and cut it out. 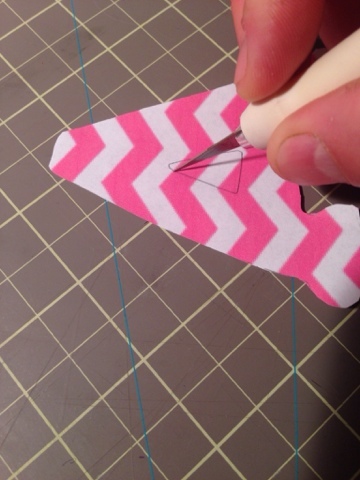 Using decoupage or other paper glue, adhere the paper to the letter. Apply a coat of decoupage glue to seal the top of the paper. 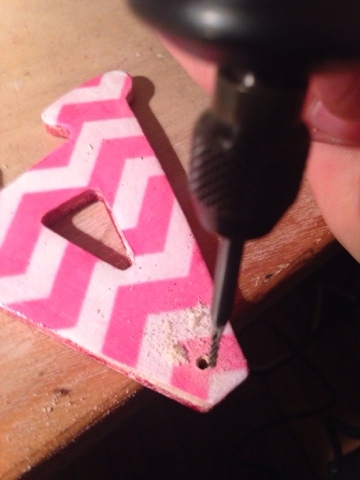 After the glue is dry, drill a small hole in the top of the ornament. Martha Stewart Crafts has a great line of glue available. They sell multipack as well as individual colors. They have so many varieties from leaf to vintage to hologram and iridescent. 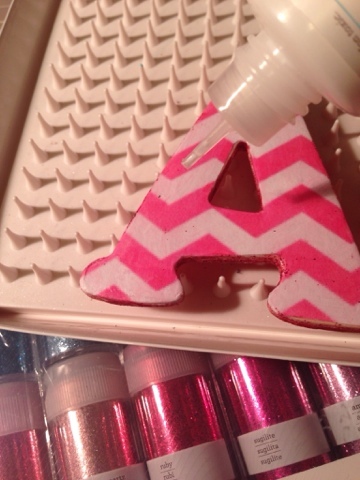 With a precision tip glitter glue bottle trace and fill glue into one color of the ornament. I started with the red. 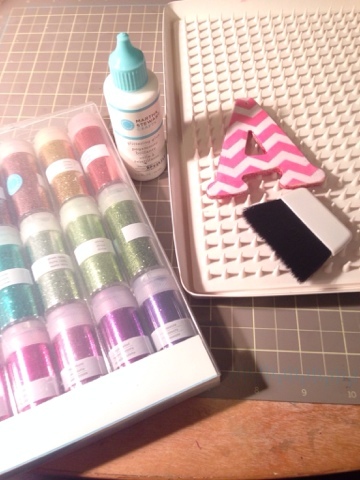 Sprinkle the corresponding colored glitter generously all over onto the glued area. Do this over a glitter tray or plate to catch the excess glitter. Let the glitter set about an hour. 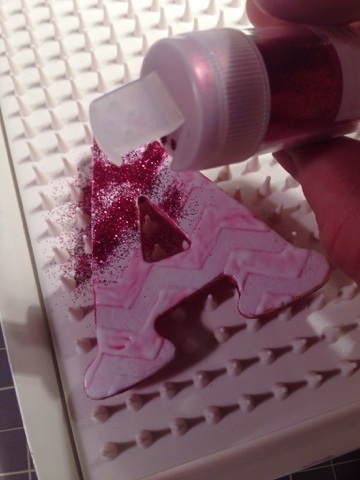 Shake off the excess glitter and put the ornament aside to fully dry Pour the glitter back into it's container. After several hours or overnight brush off the excess glitter from the ornament. To prevent the colors from mixing make sure you get off all of the excess glitter. Now you are ready to repeat the steps with the next color. I used white. After the ornament is fully dry(to be sure it's fully dry your best bet is to let it dry it overnight) brush off the ornament. Now all you need to do is string some decorative ribbon through the hole you've made and you're done. Your ornament is now ready be hung on your tree or over your mantle. You could even top a wrapped gift with this ornament to add a personal touch. Try experiment with different colors and patterns to create something really unique.